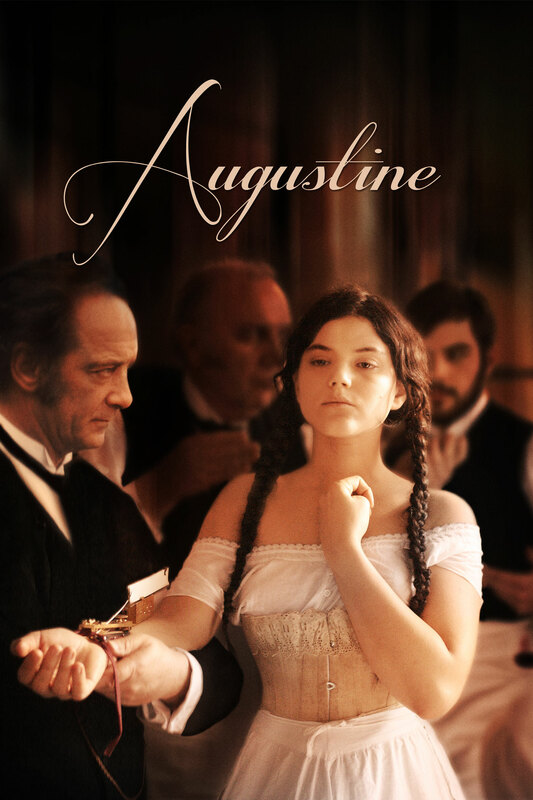 The powerful and darkly sensual drama Augustine is based on the true story of the unusual relationship that developed between Dr. Jean-Martin Charcot, the pioneering 19th century French neurologist and mentor to Sigmund Freud, and his star teenage patient. In Belle Epoque Paris, 19-year-old kitchen maid Augustine suffers an inexplicable seizure that leaves her partially paralyzed and is shipped off to an all-female psychiatric hospital specializing in the then-fashionable ailment of ‘hysteria’. Augustine captures the attention of renowned neurologist Dr. Charcot (Vincent Lindon) after she has another attack that appears to give her intense physical pleasure. Intrigued, he begins using her as his principal subject, hypnotizing her in front of his fellow doctors. As Augustine displays her spectacular fits in lecture halls, the lines between doctor and patient become blurred, radically impacting the course of both of their lives.